Best wishes for a joyous and festive Groundhog Day! You think I’m kidding? Not at all. Don’t underrate the simple pleasures of Groundhog Day. No shopping. No presents. Not a single dish to wash. But the real reason it’s my favorite holiday is this—Groundhog Day celebrates the natural world. Think about it—a holiday that takes its meaning solely from nature. It doesn’t commemorate any human event—a war, a peace, or anyone’s birthday. It can be celebrated by people of all religions, or of none. It celebrates the awakening of hibernating animals, the ebbing of winter, the natural flow of light and darkness, the ancient rhythms of the planet. And you thought it was just about groundhogs. Why February 2nd? Surely an inconspicuous date in the drabbest part of winter. But if you count the days on the calendar, this point in time is the crossroads of winter and spring. The second day of February falls midway between the solstice in December and the equinox in March. Humans have long seen this as a time to celebrate, like weary drivers on a seemingly endless road trip: Halfway there! Groundhog Day is the signpost, the marker, the rest stop on the long journey from winter into spring. It’s a holiday with an ancient tradition; it predates Thanksgiving, Columbus, or even Christmas by a few millennia. There’s a Neolithic site in Ireland where the stones are aligned to line up with the point of sunrise on this date. We’re halfway there! Halfway to spring. This is the point at which it’s really noticeable that the days are getting longer. The light is increasing, the dragon hasn’t eaten the sun. We’ve beaten the darkness back once again; we’re halfway there. There’s an old farmers’ saying: February second, Groundhog Day, half your wood and half your hay, to make it safely through till May. 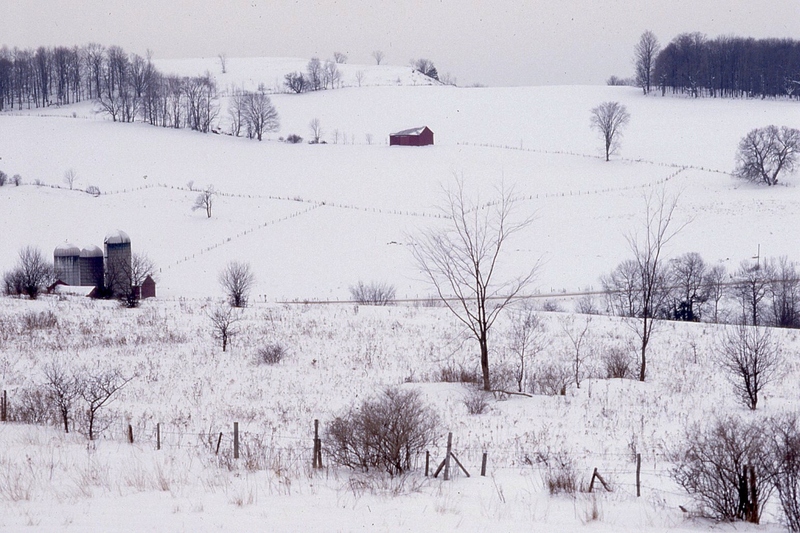 Half of your resources should still be available, if you’ve got what it takes to make it through winter. This day is a yardstick to measure survival. Yes, but how did the groundhog get into the whole deal? Today there will be news reports across the nation, focusing on a reporter holding up a groggy rodent. 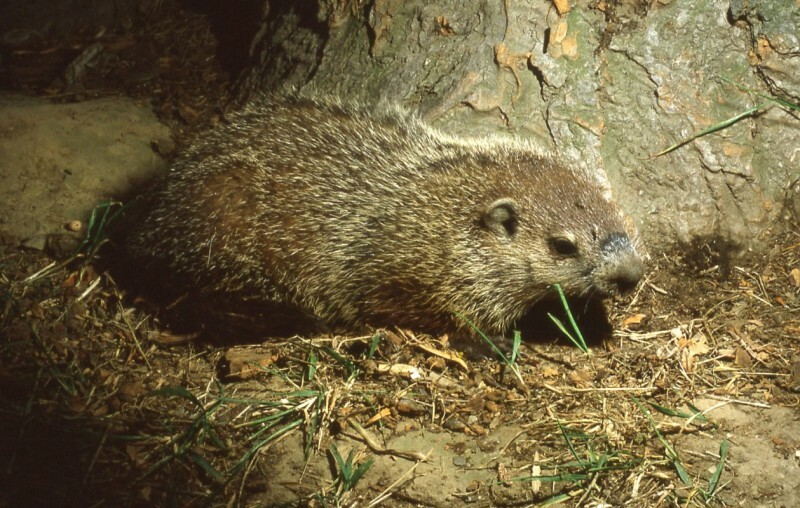 But of course woodchucks don’t wake from hibernation, at least not up here in the Northeast, until it’s a whole lot warmer than Feb. 2 generally is. The whole Punxsatawney Phil silliness has its roots in the German immigrants who came to Pennsylvania in the eighteenth century. In the Old World, a badger, hedgehog or other hibernating animal might emerge from their hole in early February. The tradition about seeing the shadow to foretell the weather is a very ancient one. No hedgehogs in PA, so they settled on groundhogs for the forecaster role. This day sets the tone for the rest of the winter, and it goes by contraries. If Groundhog Day is sunny, then the rest of winter will be long and cold. If Feb. 2 is cloudy (so that the groundhog doesn’t see his shadow) then spring comes early. It makes sense, in a way: clear, sunny winter days are days of high pressure, which are often bitter cold. Low-pressure cloudy days bring warmer temperatures and melting. Studies show that the groundhog is absolutely right 50% of the time. But shadow or no shadow, we’re halfway there. So I’m sending the warmest of season’s greetings to you. Wishing a pleasant and joyous holiday to you and family. Just don’t expect a Groundhog Day card. 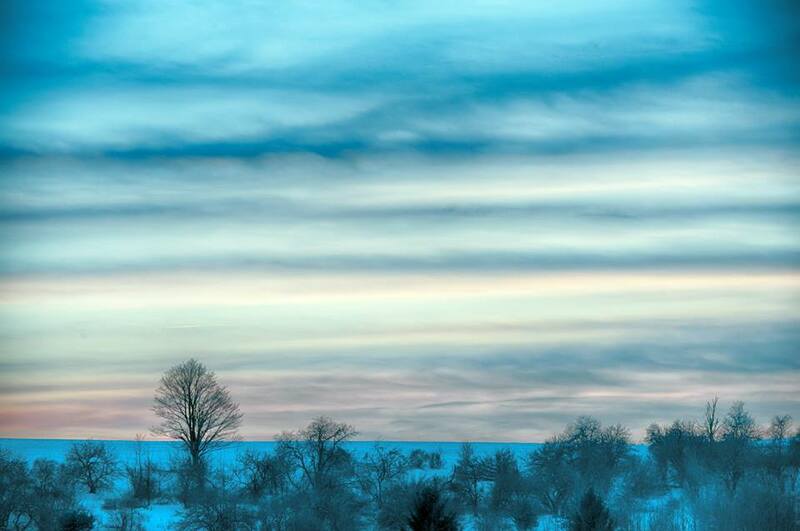 Thanks to Wells Horton for this photo of the beauty of winter light. Pay heed to what the farmers say. To keep the farm and family warm. The hay is gold in lantern light. Wasted hay and squandered wood. And half the wood and hay are gone. I provide for what’s my own. I can keep them fed and warm. On half the wood and half the hay. The kitchen window’s warm and bright. Half the wood and hay remain. and crepes sound like wonderful additions too! Congratulations on the publication of two new books, I’m going to start by reading you first three. Happy belated birthday! What a great day to celebrate on. Fun facts! Thanks for sharing! I’m with you – it’s a favorite holiday — always makes me think of my grandfather — though I don’t know why. My kids and I used to bake a chocolate (soil) cake and decorate white frosting with a groundhog in brown icing and add a shadow if it was seen. The poem makes a good addition to our celebration. Time to clue in the grandson on this! For me, in addition, February 2 is La fête de la Chandeleur (feast of Candlemas) in France. And that means CRÊPES! Piled high! Now that’s something to celebrate. Not to take anything away from the groundhog.